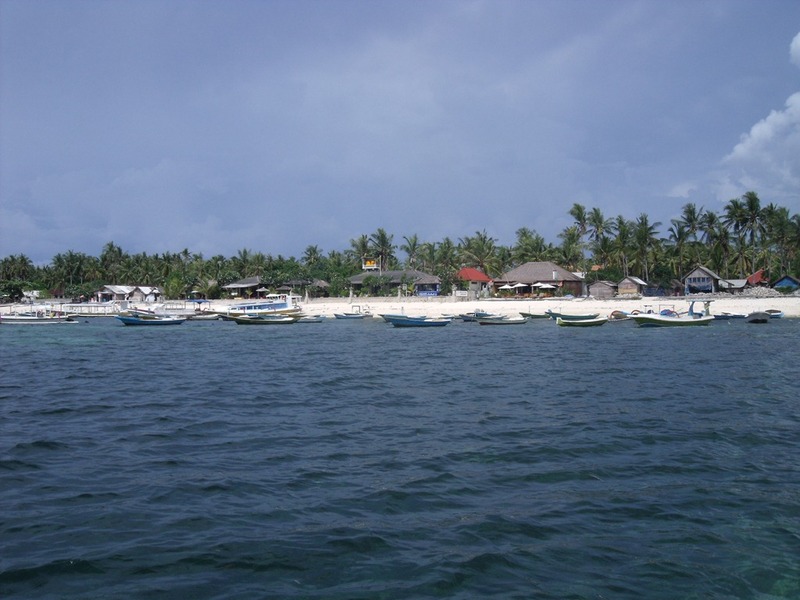 I won’t dwell on the last post on this blog, as we certainly haven’t dwelt on the problems of Probolinggo. Instead, we’ve had a fantastic ten days or so in Bali. Since my last correspondence we’ve seen a manta ray up close and personal, spent four hours looking for a hotel in the most touristy place in Bali (and finding none), and spent an evening (sober, would you believe?) at a Balinese dance show. The worrying thing is that I actually really enjoyed it! The dance show that is, not the fruitless searching for hotels. OK, so how do you get your travelling groove back? I suppose the answer for us has been not travelling too much as we really managed to relax in Nusa Lembongan. The accommodation and infrastructure were basic, to say the least (we could actually see the people in the room below us through the gaps in the floorboards), but the sun shone most days, we met some lovely people and every night we could try to predict which classic crooner would be shown on the big screen behind our bungalows’ bar (we were treated to Queen, Rod Stewart, UB40, Dire Straits and Cat Stevens during our stay). 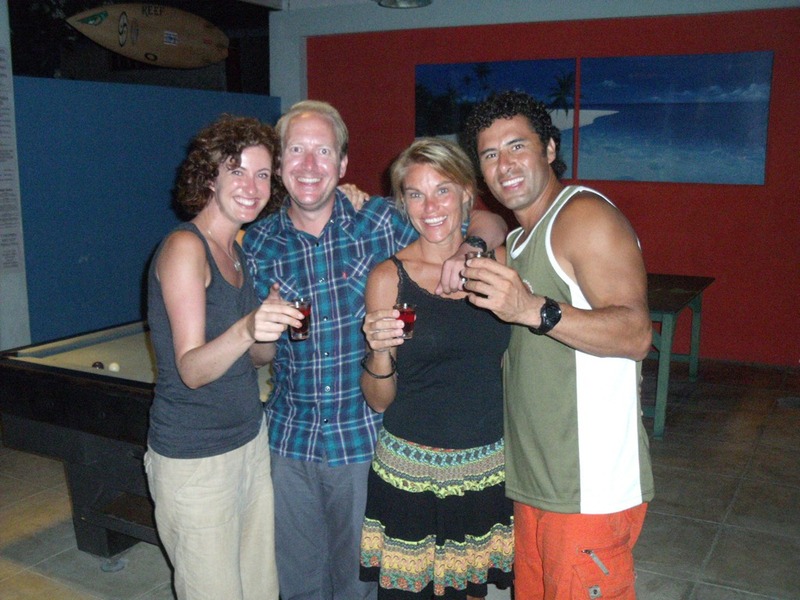 We met a Texan couple (Becky and Ernie) during our stay, with whom we went diving one day. 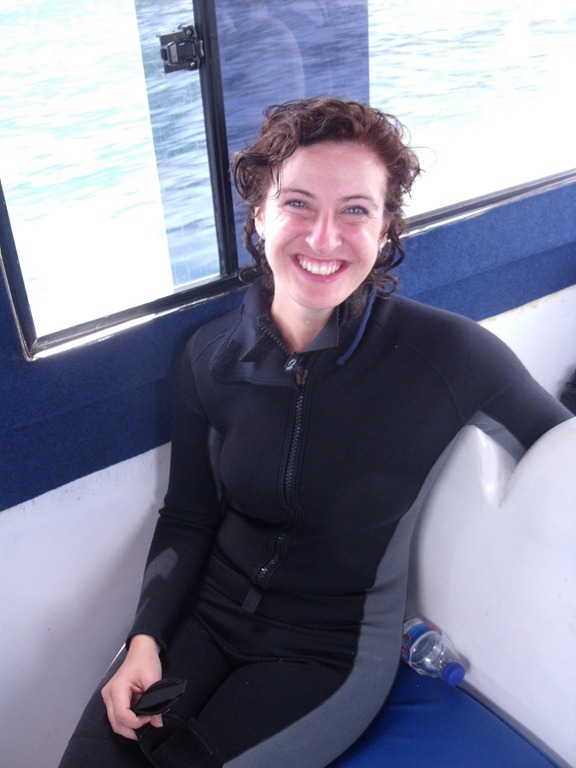 Jane made a mockery of her “Scubapro” wetsuit by putting it on back-to-front, then attempting to descend into the salty depths without her regulator in her mouth (for non-divers, this means she was essentially about to go down to about 15m without air). The dive trip was great: on the first dive we saw a 2.5-3m across manta ray, gliding gracefully about 10m away. It turning towards us, its metre-wide Cherie Blair mouth fully agape, is not something I’ll forget in a hurry. There were also loads of the usual suspects: Nemos; angel fish etc. 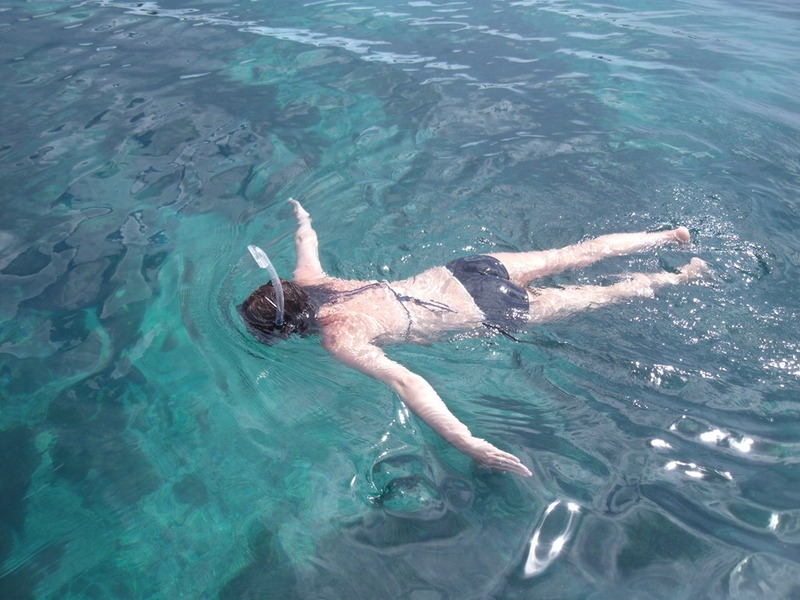 When Ernie and I were snorkelling soon after our two dives, we saw a huge striped sea snake coming up the surface. We were probably about 15ft away from it, but before we could ask the local guys in the water with us whether it was poisonous, they had scampered up the ladder on to the boat like rats up drainpipes, so we quickly followed! We dined a few times with Becky and Ernie and shared many beers and frames of tipsy pool, which was lovely. We were also indebted to them for guiding us away from the expensive beach-front restaurants, to much cheaper and usually tastier places back from the beach. On our final night though, they had suggested a fish warung (very basic restaurant) close (they said) to the bungalows. By the time we got there 30 minutes later, my feet were bleeding and we were just glad they were still open. To be fair, the food was fantastic, and we shared four dishes of fresh fish cooked in different ways, before repairing to the bungalows for pool (Becky, it’s uncouth to run twice round the table shrieking to celebrate a slender and very fortuitous victory!) and free shots on the hour, every hour (what a great idea). 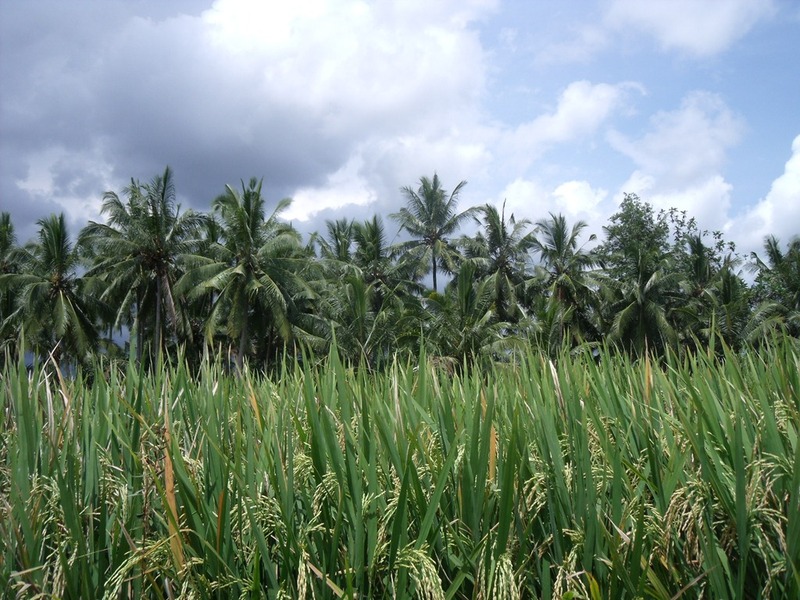 In Ubud we found fantastic, cheap accommodation, close to the centre and budget, local eats which were for the most part very good (although my beef rendang one night tasted dubiously like cardboard). 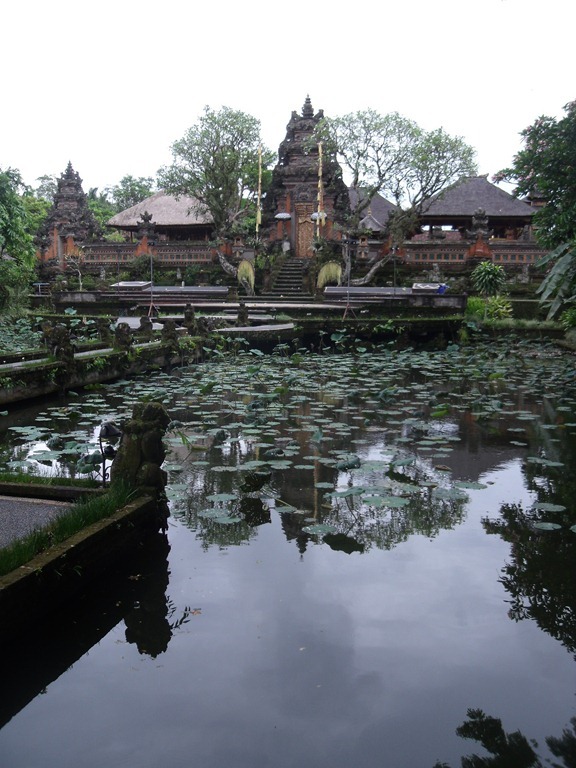 Now, there’s not a huge amount to see in Ubud – there are a couple of decent temples and a royal palace (I genuinely don’t think they like their royals here because the palaces across Indonesia have been pretty basic). 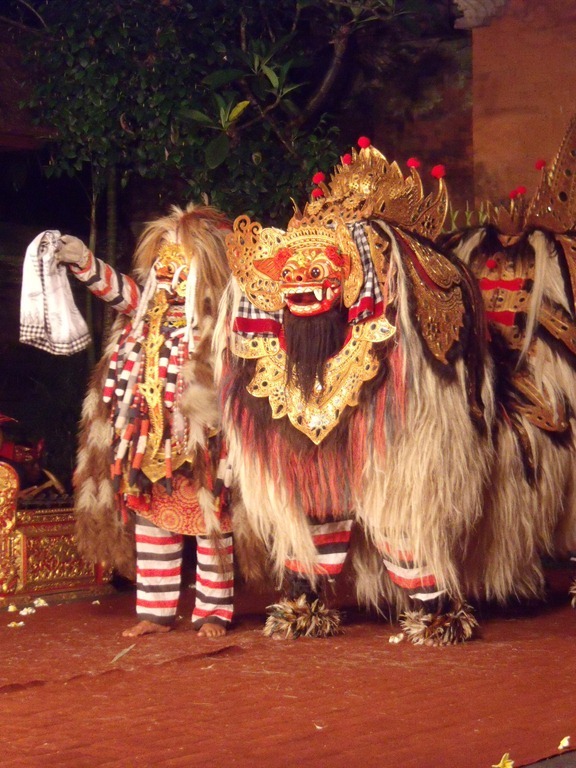 The performance I mentioned above was a traditional Balinese dance. I couldn’t tell you what it was about, even though I had an English programme. There was definitely a spell cast at one point, there was certainly a monkey, and I’m pretty sure that the good guys won. Like I said though, it was fantastic. The female dancers are mesmerising, some of them have eyes which I suspect could hypnotise the weak-willed and they all move with such precision that it’s hard not to be impressed. The male “dancers” (who don’t actually do any dancing) generally look like someone famous or wear ridiculous costumes, so there really is something for everyone at one of these performances. There was a Dutch woman just to my left with a flash the size of a toaster, so if I happened to turn my head at just the wrong time, I would be blinded for approximately 3 minutes. We’re not big fans of gamelan, the main instruments accompanying the performance. Imagine, if you will, a herd of alpine cows with oversized bells tumbling down an escalator in need of a service into the testing room at the doorbell factory, and you’re close to the cacophony. 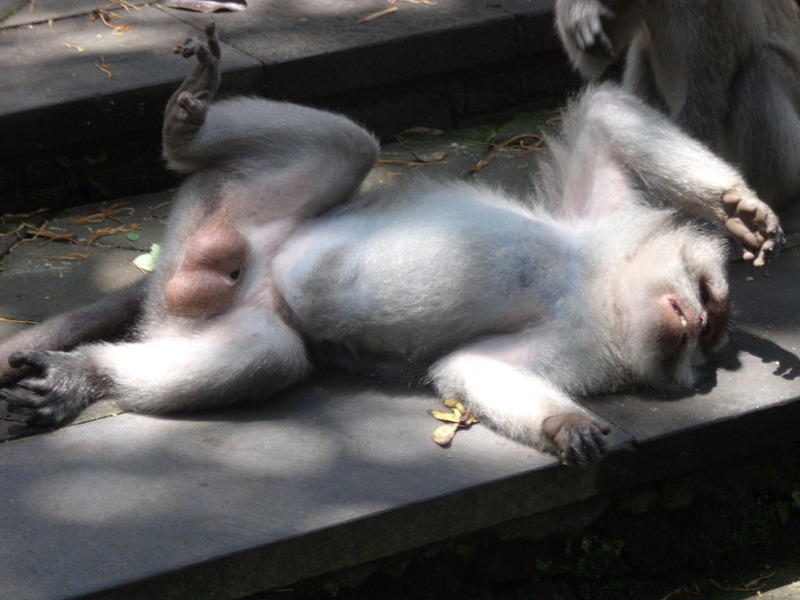 On our final day in Ubud, we went to the monkey forest sanctuary. It’s a cool oasis in the hustle and bustle of Ubud. 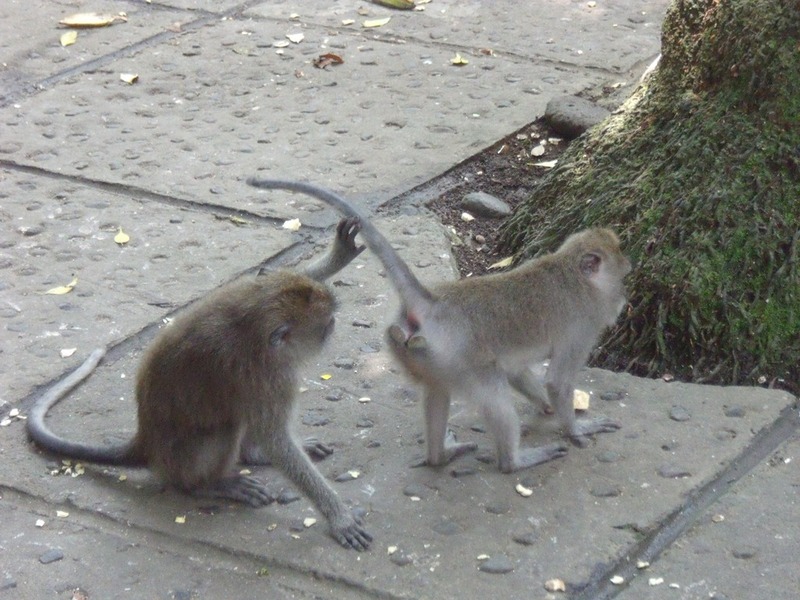 Macaques loll everywhere, showing off their private wares, looking up each others bums and jumping on squealing tourists. There are also some pretty temples, though sadly all were closed. The only things open were the souvenir stalls, as is often the case. After the monkey forest, we decided to go for an 8km hike through the rice paddies and surrounding villages. This was mostly a great idea, as the scenery was lovely and the weather clear, although the last couple of kilometres were both very hot and fraught with danger, as we approached Ubud on winding roads with Carl Fogarty wannabes creating a cooling breeze against our quivering knees. 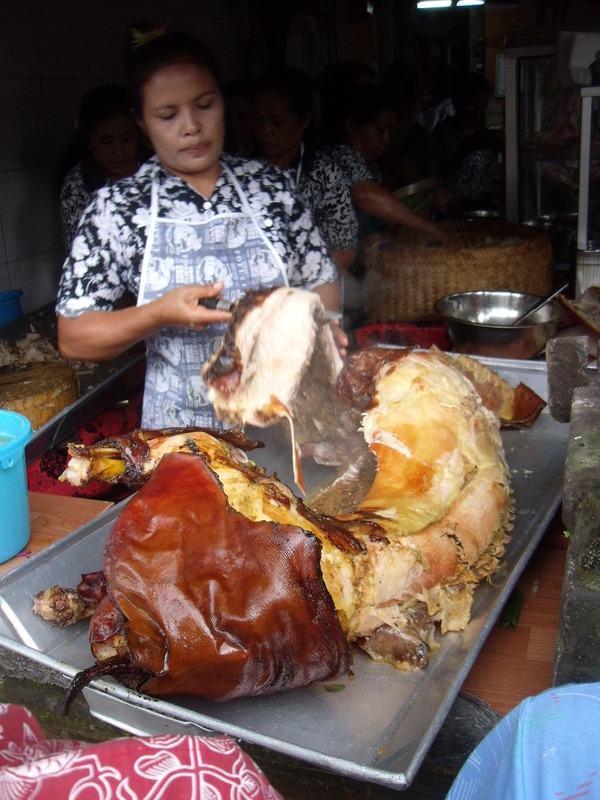 The only negative thing we can say about Ubud, is that the local speciality of roast pork wasn’t actually that good. Relatively expensive and a small portion do not a happy Gringo make. We’re going to try it again before we leave Bali so fingers crossed it’ll be up to scratch(ings). From Ubud we took an extremely slow bus north to the beach town of Lovina. As always, the bus dropped us off a couple of kilometres from where we wanted to be. As always, we refused to pay him extra to take us there. As always, the taxi we got took us to the hotel he worked with and lied about the facilities. We did find a very nice place and Lovina itself was quiet but chock-full of bars and restaurants. 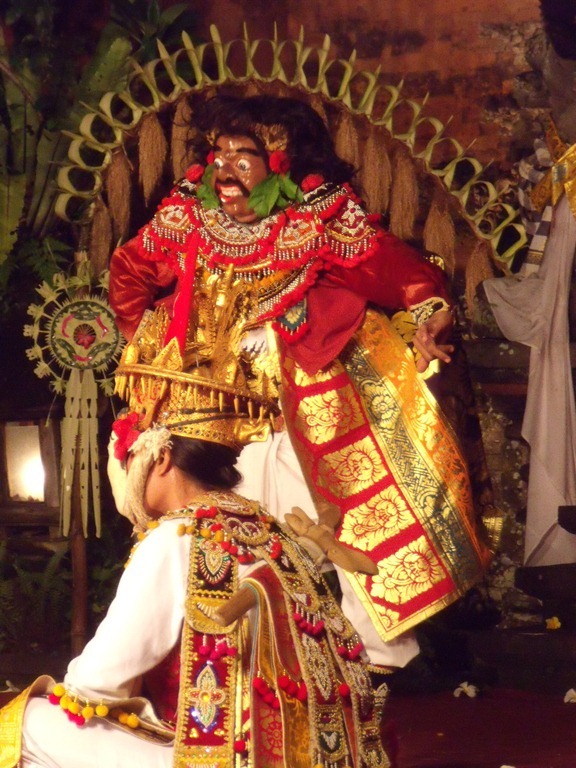 One night we were treated to a private performance of Balinese dancing in a restaurant, by the owners’ 11-year-old daughter (cutely with her white school vest underneath her costume) and grown-up brother. It was all a bit surreal! 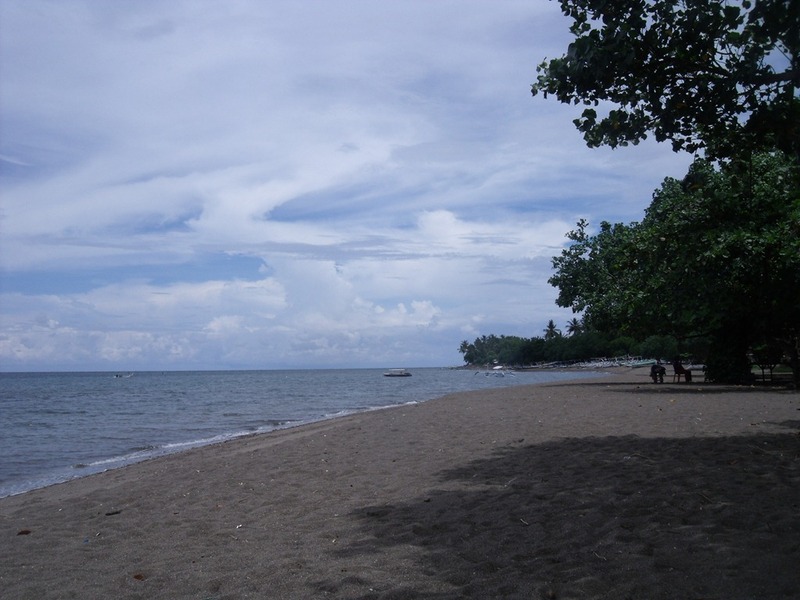 The beach wasn’t exactly glorious in Lovina. The strong breeze and lack of loungers or beach-front facilities made us decide to high-tail it back south to Kuta – the main tourist resort in Bali. It was my turn to search for accommodation. This was a mistake. What was also a mistake was me thinking “there’s loads of accommodation here, I’ll be back in 15 minutes” and heading out with my foot-shredding flip-flops, but without sunglasses or sun-cream. When I returned an hour and three-quarters later, I was a sweaty shell of a man and had found no suitable accommodation. Considering our only criterion were hot water and clean room, this took some doing. I think they get enough tourists in Kuta that they just don’t have to make an effort. When Jane’s shorter search turned up no results either, we gave up and checked into a pretty basic place. Thirty minutes later, as I dozed after my exertions, Jane woke me to tell me that the smell of damp was making her feel sick, so we upped our budget and Jane went to look at a room in a really expensive place which had a damp patch on the ceiling. At this point, after over four hours, we gave up and took a taxi to Sanur, the resort we left two weeks earlier. One thing we did see in the rabbit-warren alleyways of Kuta were some enormous people. At one point I thought we were being followed by a herd of buffaloes, but they turned out to be Aussies in vests. I also heard a lad ask his friend where their other friend “Horndog” was, which even in my fraught state after 90 minutes in the sun, brought a smile to my face. Horndog’s Mum must be so proud! So, we’re back in Sanur. We know what it’s like here, and we’re staying in a very nice place which actually has air-con, wi-fi, hot water and a TV! Should make for some great tales for the blog! *Before our Mums start worrying I should mention that we’ll also be behind electric fences in the official camp grounds (what if there’s a power cut though, eh?). Is Probolinggo actually a place? It just sounds like a term for people struggling with the language! Perhaps the clue was in the name…? I always thought it sounded a bit like a throat infection, which suits it! ‘Probolinggo’ is a derogatory term popularised by Australian undergraduates in the late 1990s to refer to a fellow student who seemed below the intellectual standard of others. Such students were stereotyped as ‘probably studying Lingustics’, or ‘Probo Linggo’. Their future employment prospects were also ridiculed as they would, apparently, end up working in paper factories usually staffed by indigenous people, commonly known by racist Aussies as ‘Abbo Lithos’. Thanks for the latest blog. As usual, some of your descriptions made me laugh out loud – especially Jane’s diving faux pas & the gamelan! 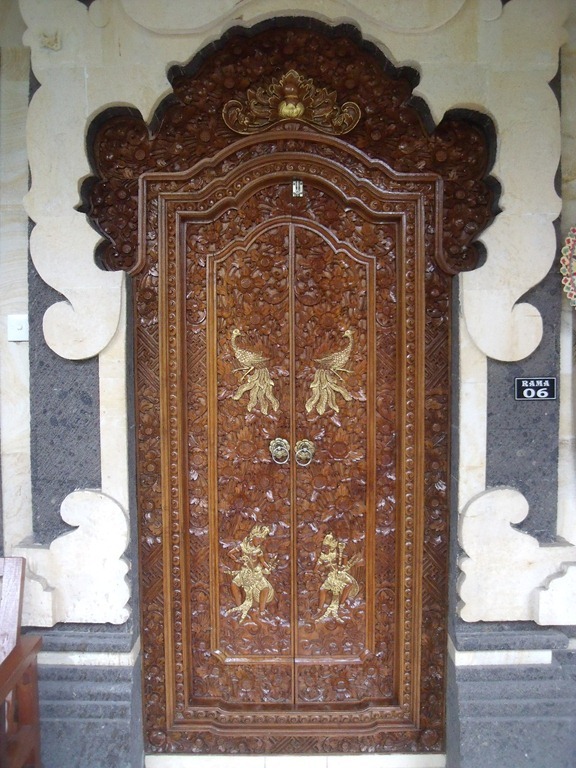 Hello, I work with Sarah-Jane and am visiting Sanur on Sunday! Enjoying your blog. Hi John – hope you’re staying in one of the many plush resorts along the beach. Drop us a line if you want any info. Glad you’re enjoying the blog. Another great blog keeping up the standard ready for publication, but Tom, ToM, TOM – the b****y plural of criterion is b****y criteria!! How could you, O junior sage???? [Oddly, the most common error is t’other way round]. Again, the editor is to blame. I’m delighted that in approximately 60,000 words of blogging you’ve found so little to find fault with in my grammar and spelling! Tom, in what world do these two sentences fit together? If you’re not taking turns staying awake in case the mossies, ants, locals, snakes or general decay get you, then you’re not travelling properly! “We know what it’s like here, and we’re staying in a very nice place which actually has air-con, wi-fi, hot water and a TV!